Open a new connection by choosing File menu -> Connect Object Explorer in SQL Server Management Studio. 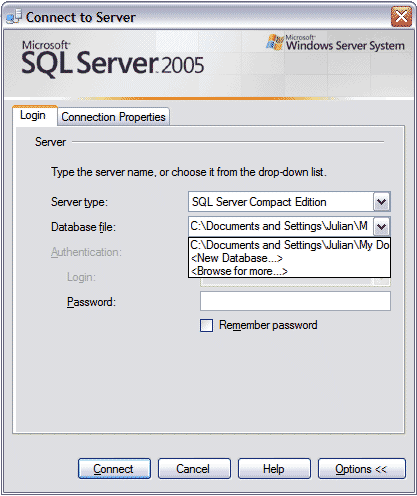 Change the Server Type to SQL Server Compact Edition. For Database file: put the full path to an existing SQL Server Compact Edition .sdf file; click the drop-down button, and select New Database or Browse to locate a .sdf file.